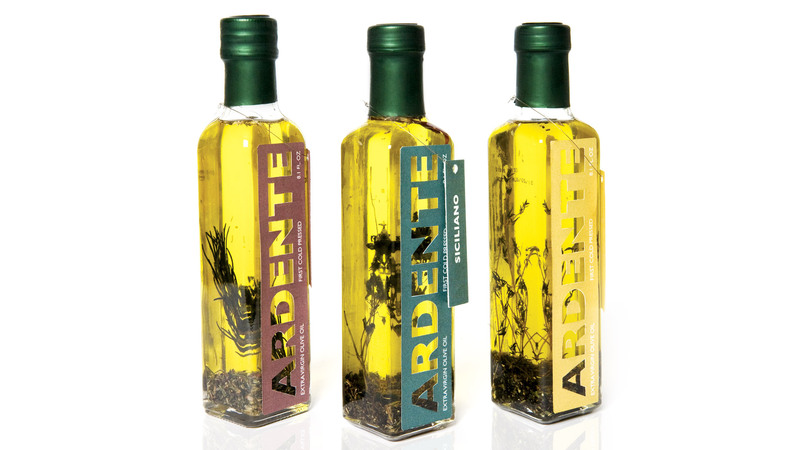 The objective of the project was to design the packaging for an Italian olive oil product. 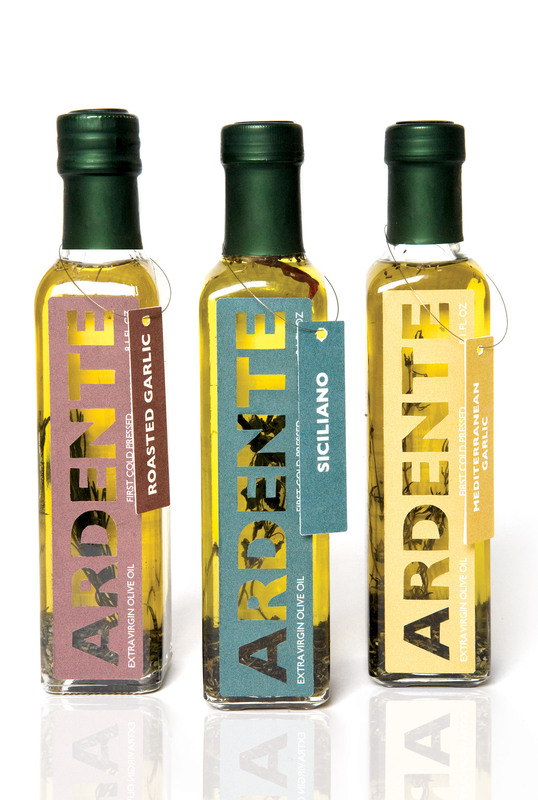 The label of the Ardente Olive Oil bottles are die cut. 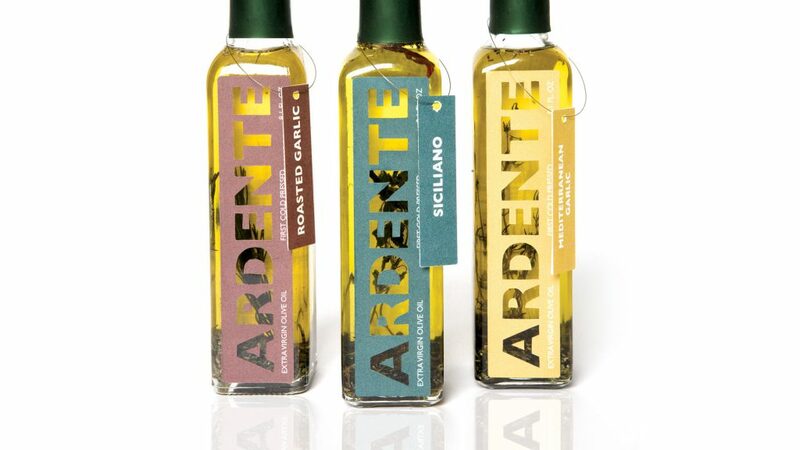 Through the cuts, you see the herbs inside the bottle that are used to flavor the olive oil.